Franklin Juice Company makes cold pressed juices with only organic ingredients. I’ve written at length about why I think juice is a great addition to my diet. That’s never more important than when I’m traveling. Whether I’ve over indulged or am just worn down from flying, jumping time zones or dancing ’til the wee hours, finding a good juice is essential fuel for my wanderlust. 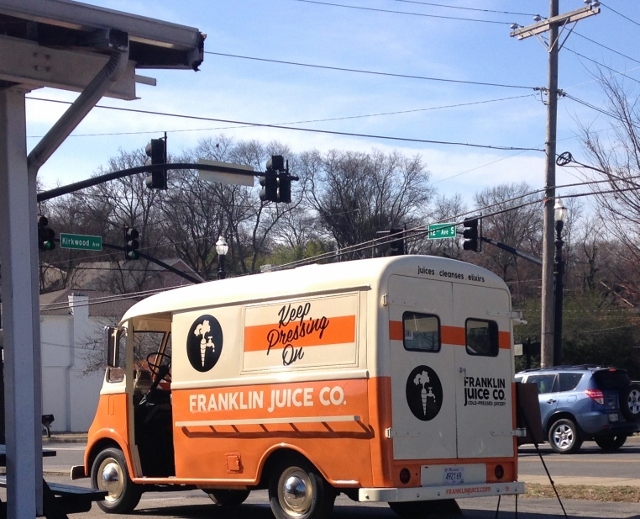 I tracked down the Franklin Juice Company’s vintage truck parked outside of White’s Mercantile. My favorite fella and I each grabbed a juice plus one of the best nut milks I have ever tried. I had the Morning Dirt juice with carrot, apple, lemon, celery, romaine, green leaf, dandelion greens, parsley, cilantro and Hawaiian spirulina. My fella had a Sweet Beet juice with carrot, apple, beet, lemon and ginger. (My opinion here: if you need a good liver detox from being overserved the night before, a juice with beets is a great place to start.) Next time I hope to have one of their Acai Bowls. Nothing beats starting the day with a nutrient injection created with organic ingredients. Franklin Juice Company makes cold pressed juices in the best, truest form of the term. No pasteurization, high pressure or otherwise. Only juice made my masticating the produce and then using a hydraulic press to get all of the goodness out of the fruits and veggies. They also offer nut milks (try the cashew) and cleanses plus those yummy Acai Bowls I mentioned before. Only the good stuff here! 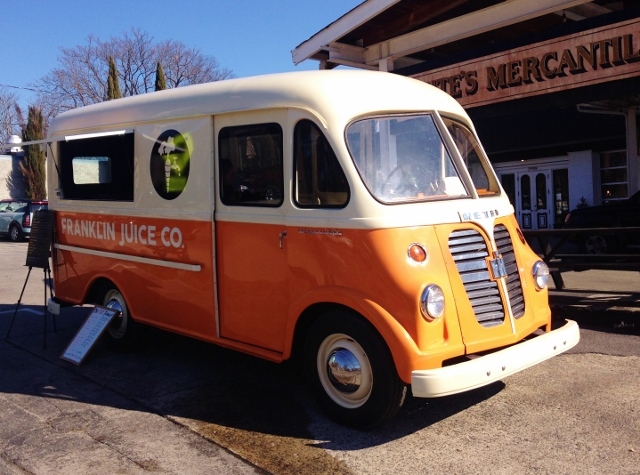 And about that juice truck: it’s a restored International Metro. Pretty groovy. 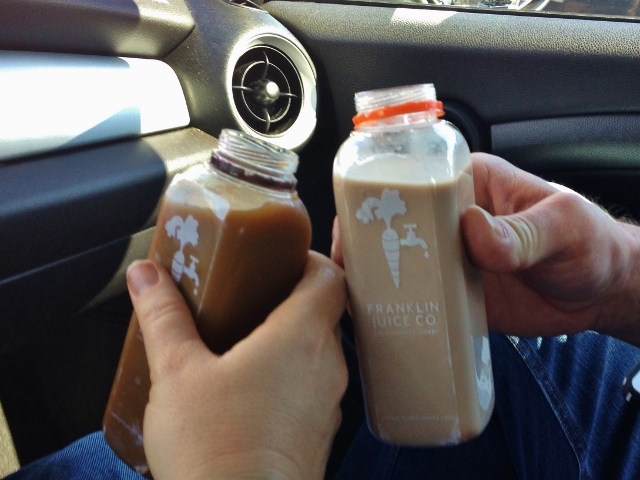 You can find Franklin Juice Company at 230 Franklin Road, Franklin, TN. Follow them on Twitter to keep tabs on where their fun juice truck is parked. Or call them and ask about delivery. I’m envious, Nashville. I need frequent juice deliveries of juice made the right way! The fella at the juice truck told us a little about the company that restores these old trucks. We saw a doughnut truck in Chicago (Vault Doughnuts) restored by the same company, only theirs is made to look old and distressed. Obviously sturdy old trucks that can be put back into use with a little loving care.